In the late fall of 2014, I presented at the Grant Professionals Association National Conference. I had quite a good time and received positive feedback about the session. We all know the importance of providing timely and informative communications to our funders, but what about providing that same level of communication to our internal staff and volunteers? In this session you will learn how to develop an internal grant communication plan for your small to large organization. There are at least five reasons this can be beneficial to your grant program. Walk away from this session with a sample project timeline, a sample communication plan outline, a sample internal newsletter, at least three different free tools to help you with your newsletter, and many other practical ideas. can even simplify your grant data collection processes! Just like funders and donors might need multiple “touches”, your staff and volunteer morale and motivation can improve with new and more targeted internal grant communications. This workshop will help you develop skills to facilitate internal communication around grant submissions, project progress, and staff and volunteer celebrations. 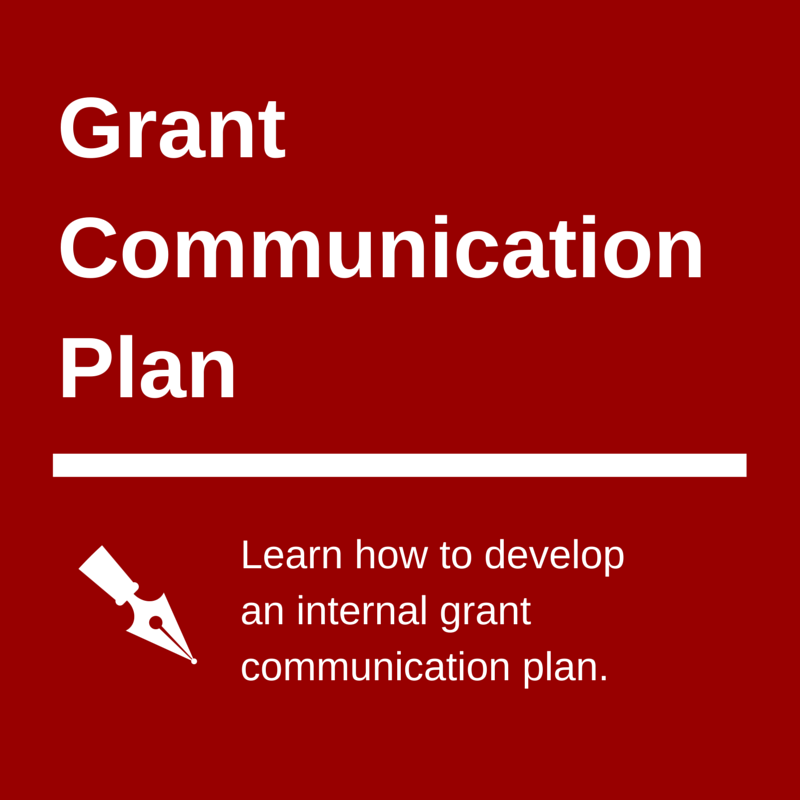 You will take away templates, at least three free tools, and knowledge of the processes used to develop your internal grant communication plan and measure its success. Please let me know if I can help you in any way with your internal grant communication plan. You can contact me at [email protected] or by filling out this form.